Darmstadt have unveiled the special strip they will wear for their game against Mainz on Saturday in honour of late lifelong fan Jonathan Heimes. Heimes, who was affectionately known as 'Johnny', died on 8 March last year aged 26 after a long battle with cancer. 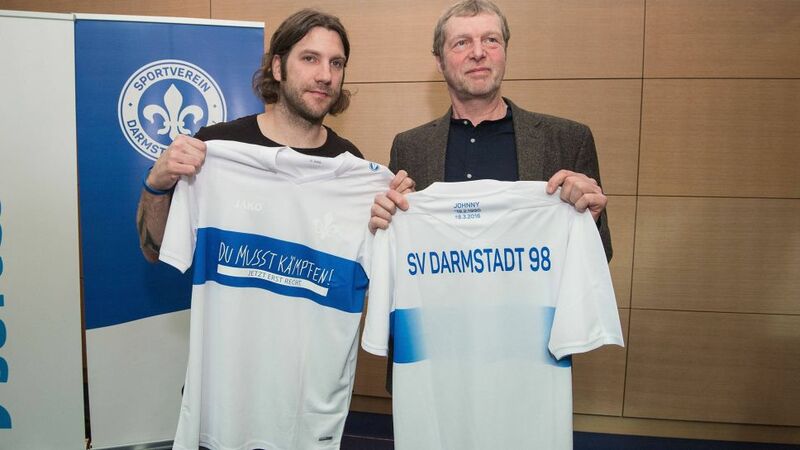 To mark the one-year anniversary of his passing, Darmstadt, who last summer renamed their stadium after him, will wear the commemorative strip bearing the 'DUMUSSTKÄMPFEN' (You Must Fight) slogan of his charity, founded to help young cancer sufferers. "There will be 1898 copies of the special shirt put on sale," Darmstadt president Rüdiger Fritsch said. "From each of the shirts sold, some of the money will be donated to the DUMUSSTKÄMPFEN! foundation. As nice as it is to be involved in football, humanity and social solidarity come first, which fits with our club motto." Click here for more Darmstadt club news!